At EcoBest Exteriors we install replacement windows in a wide range of styles and quality materials to match your home's style and fit your budget. We work with leading window manufacturers to be able to offer the best products and warranties. No matter what your reason for replacing your house windows, whether it's greater comfort and energy efficiency, less maintenance or improved appearance (or all of the above), EcoBest Exteriors is the window installer you need to help you choose the perfect replacement windows to solve all your needs. Call us or click below to schedule a free window replacement cost estimate in Gresham, Hillsboro, Beaverton, or nearby Oregon and Washington. Reduced noise: New house windows can not only reduce the amount of sound entering your home from outside, but they can also reduce the amount of noise that comes out of your house. Enhanced curb appeal: New house windows can improve your home's appearance - inside and out. There are many window styles and trim styles available to compliment the architecture of your home and your personal style. 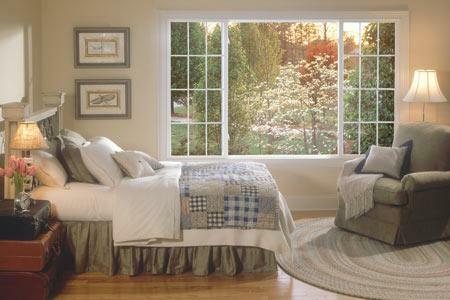 If you're thinking about putting your home on the market, new windows are a good selling point. Replacement windows can give your home the look and comfort you need and provide potential savings on your energy bills. Proper window replacement can also drastically increase the value of your home. Get started with a free window replacement cost estimate! EcoBest Exteriors is the trusted contractor for window and door solutions in Gresham, Hillsboro, Beaverton, Vancouver, Portland, Salem, Lake Oswego, Springfield, Corvallis, Albany, and many surrounding areas in Oregon and Washington.